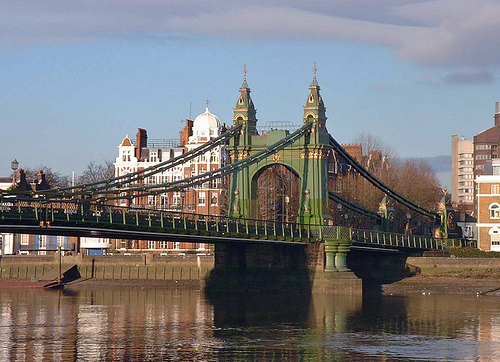 Hammersmith Bridge was built in 1887 to the designs of Sir Joseph Bazalgette. It crosses the River Thames in west London and connects Hammersmith with Barnes (to the south). 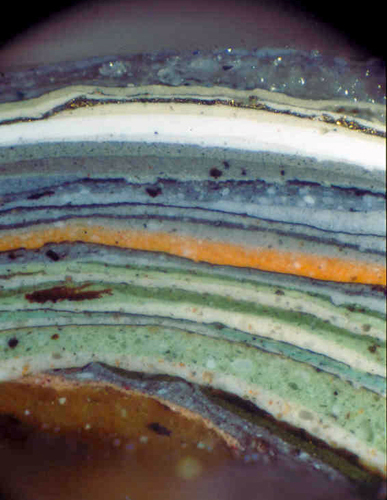 I worked with Catherine Hassall on the research and paint analysis of the bridge. 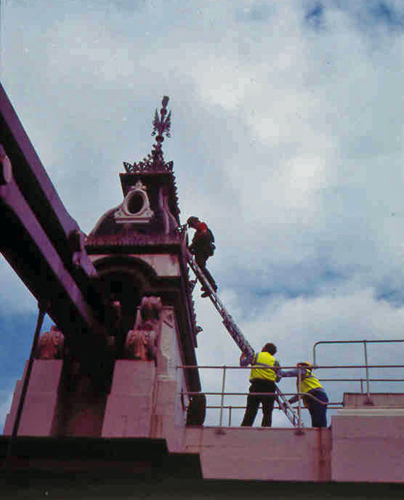 As the proposed new paint was incompatible with the earlier coatings it was necessary to record the decorative history of the bridge before it was stripped. At first we were puzzled by newspaper accounts of the bridge having been “pink” when it was opened by Prince Albert Victor in June 1887. 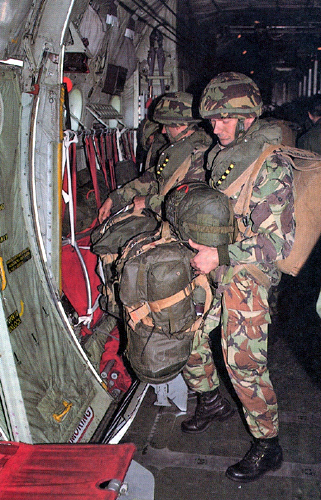 However, I was able to show that three coats of bronze green and gilded elements were applied in the following year. The bridge had been opened in its underclothes. That paint section is incredible MrB ! You have an enviable occupation.